Call Today For A Free Paving Estimate! 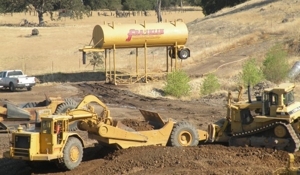 A Chico based general engineering contractor and aggregate producer. From sitework and roadway excavation to chip seals and asphalt paving. From the production of sands and pea gravels to hot mix asphalt and rip rap. Franklin Construction, Inc. works hard to ensure that our projects are completed safely, on time and in the best manner possible. We are one of the largest general engineering contractors locally and have worked hard to establish a reputation as a dependable, hardworking company, providing our services at a competitive price. As a premier paving company, we service several types of industries and markets, including agriculture, schools, single and multi-family residential buildings, and for numerous agencies at the local, state, and federal levels. Copyright © 2018 franklinconstrca.com All rights reserved.